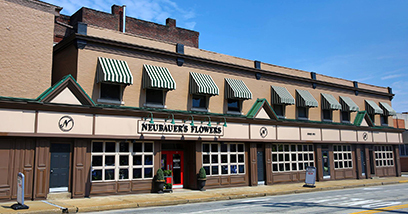 Neubauer's Flowers is the leading provider of thoughtful gifts, helping our customers connect with the important people in their lives, so it's important that our customers stay connected to us. To further assist you, we've provided answers to any inquiries you may have about our service. We are dedicated to delivering your floral and gift orders in a timely manner. The actual time and date your order is delivered is affected by the time of day your order is placed, the method of delivery or shipping you select, weather conditions, and whether or not the destination is a remote location. Our delivery policies explain the delivery options available to you and how we process orders. Several of our gift items are shipped directly through Federal Express, Airborne, or UPS. At this time, we are unable to ship to PO boxes, hotels, or hospitals. Cut-off times for same-day shipment and available shipping options are clearly marked on the order form for each item. The date your order will be received will depend on the shipping date and the shipping method you select. Items shipped UPS Ground can take 3 to 7 business days, and delivery dates are not guaranteed. Items shipped Overnight or 2-Day are guaranteed to be delivered within that period. Please note that the guaranteed shipping options are based on business days, so an order shipped on a Friday by FedEx 2-Day would be delivered on the following Tuesday. While we process your request the moment we receive it during business hours, it is sometimes very difficult to get cancellation requests complete. Our network ranges throughout the country and because of the importance placed on a timely delivery of your request and various time zones, it can sometimes be very difficult to stop or cancel a delivery attempt or a placed order. Cancellations must be done prior to delivery, and in all cases within 24 hours or placing your order. Any cancellation requests after this period cannot be guaranteed and are subject to a 20% charge. Due to various seasonal and regional conditions, and the variety of unplanned issues courtesy of Mother Nature, availability of some flowers may be very limited in certain areas. Also, specific flower varieties or colors may not be available for delivery on a specified day. Therefore, it is possible that the exact bouquet pictured or requested may not be available for delivery. In this event, the local florist will deliver a second choice of similar flowers and container of equal value and beauty. Every effort will be made to maintain size, shape, and overall color schemes of an arrangement, but there may be some variance due to designer interpretation. In single variety arrangements, variety will take preference over color. Our goal is your complete satisfaction, rest assured that every effort will be made to provide an arrangement of equal or greater value.